Join me and Mona Warner for the day to prepare yourself for the transition into summer. 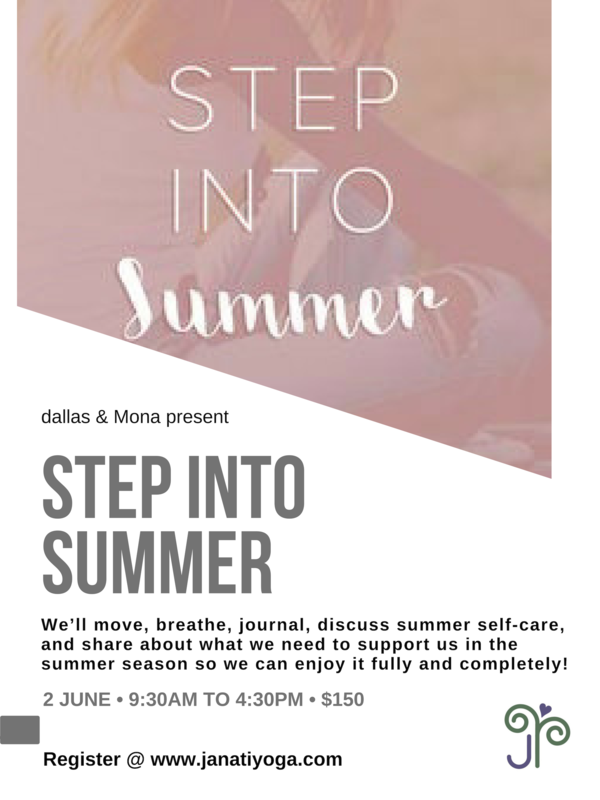 We’ll move, breathe, journal, discuss summer self-care, and share about what we need to support us in the summer season so we can enjoy it fully and completely! Spaces limited to 12 participants. Pre-registration is required. You are invited, my love. 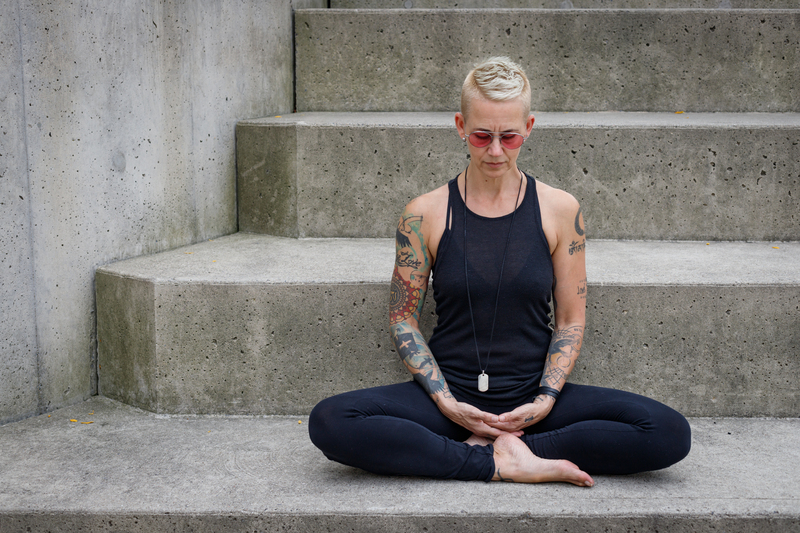 You, and you, and you – let’s gather in community to celebrate the sweetness of the summer solstice together in the beautiful Muskoka for a decadent and nourishing 3 night + 4 day retreat at Patterson Kaye Resort. I chose this space for their decade of expertise in providing a high quality experience to everyone that lands here – cozy accommodations, exceptional service, and the best of the best of amenities – to play, to pause, and pamper your being. To top it off, they’re located on the mouth of the breathtaking Lake Muskoka, near Bracebridge. Prepare yourselves to enjoy 500 feet of waterfront wonderment, a spacious sandy beach, a small, quiet river running through the property, and a private lagoon. We’ll practice each day in a light, bright and beautiful room with epic 2 story ceilings, plank floors and a view of the water. We’ll eat delicious bountiful meals prepared with love and in house, using the freshest of ingredients just for us. And there’s more… a beach volleyball court, a trampoline, a slide, many docks, kayaks, a hot tub, a seasonal outdoor pool, a shuffleboard, and 6 kilometres of hiking trails to enjoy – all to nurture your body, your mind, and your soul. • Shared or Semi-Private (2 per room) multi bedroom cottage with shared washroom $550.00 pp + HST. •Shared or Semi-Private (2 per room) multi bedroom cottage with private washroom $610.00 pp + HST. •Shared or Semi-Private in private cottage $670.00 pp + HST. •Private 1 person in multi-bedroom cottage with shared washroom $670.00 + HST. •Private in private cottage $790.00 + HST. Copyright © 2016-2017 dallas delahunt. All rights reserved. Site designed by: Function Creative Co. Photography by: Suzy Lamont.